Bharat Earth Movers Limited (BEML), a defence public sector undertaking, plans to exhibit its capabilities of ground support civil aviation, defence and aerospace sectors at the Aero India -2019 to be held at Air Force Station, Yelahanka, Bengaluru. The company has lined up Make-in-India products especially its competence in manufacturing of Airborne Structures, Ground Support and Ground Handling Systems at the aero India being held from February 20 to 24. 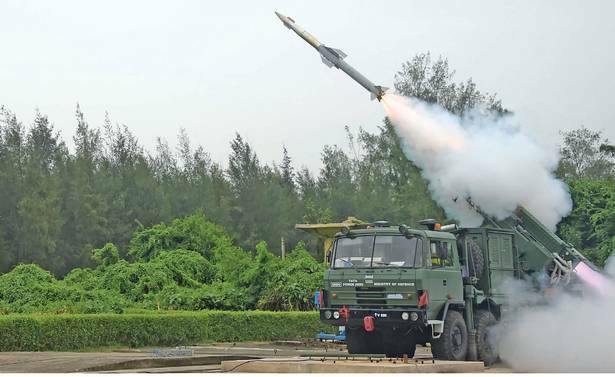 BEML will be also be displaying its missile aggregates for Akash and Quick Response Surface-to-Air-Missile (QRSAM) along with ISRO Motor, Bomb Pallets and Aviation Hoses, which are critical components for the aviation sector. The defence public sector is shaping its vision to reach new frontiers and in association with original equipment manufactures (OEMs) and is aiming to be a significant player in the global aerospace industry.